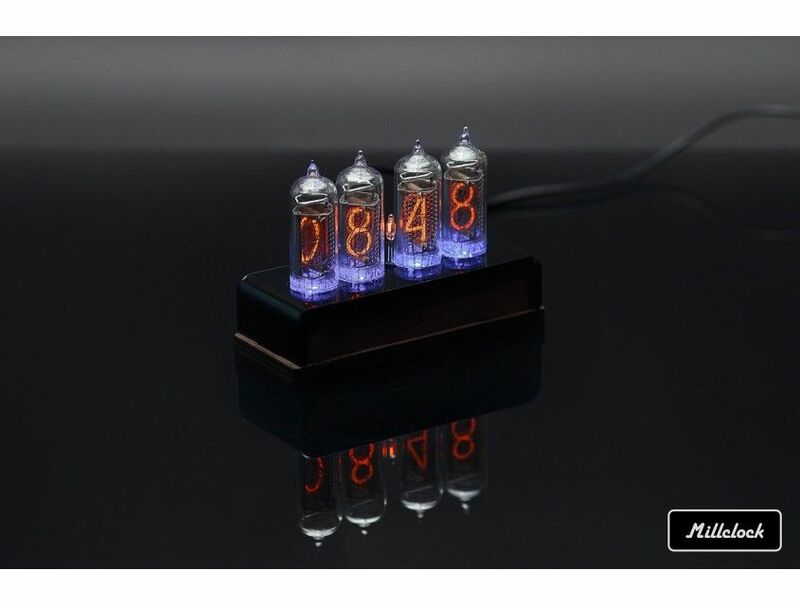 When there is an overwhelming desire to find a vintage clock, the nixie tube model should be regarded. 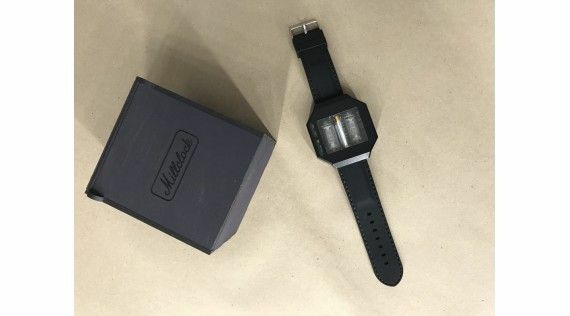 Your night-time will be painted with neon light showing you the exact time accurately. This very model is a valuable gift for your friend or it can become unique decoration of your own interior. It makes your life full of memories connected with those retro times when neon lighting was the technological innovation. 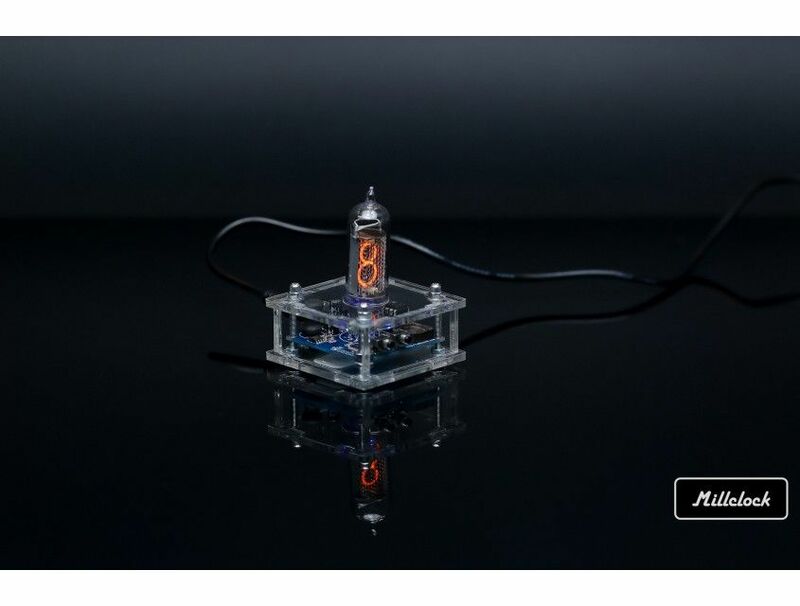 If you are interested in Millclock line of nixie clocks but have no spare place for large items with enclosure, we recommend you to consider this smallest model. It allows nobody to stay indifferent! 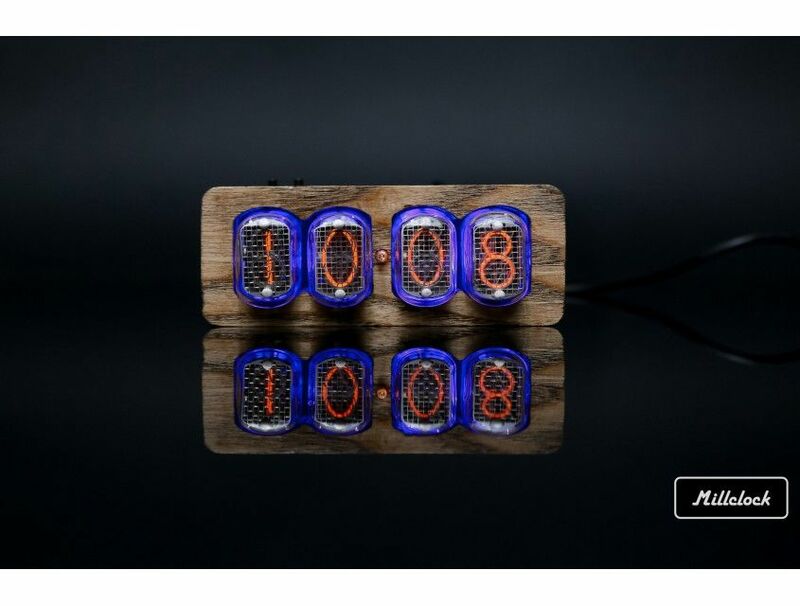 This small clock allows you keeping up with the times. The case is made of transparent acryl showing all the inner assembly that is an additional winning designer’s trick. We are glad to offer you the time travel device, which will bring you to the past – to the Soviet union times with those pretty characters, romantic moods, and new technologies. The design of this model is functional meaning that it is not only beautiful but reliable also. The wooden case protects the glass tubes from mechanical damages. The flashing tubes filled with orange color and bright blue backlight are very expressive and particular matching the loft and hi-tech interior in a perfect way. This look charms and captures imagination reminding the Soviet Union time with innovative technologies and that particular mood. 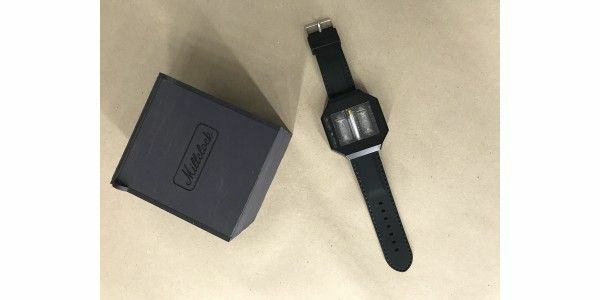 Do you have a digital clock or you use a smartphone for checking the time? 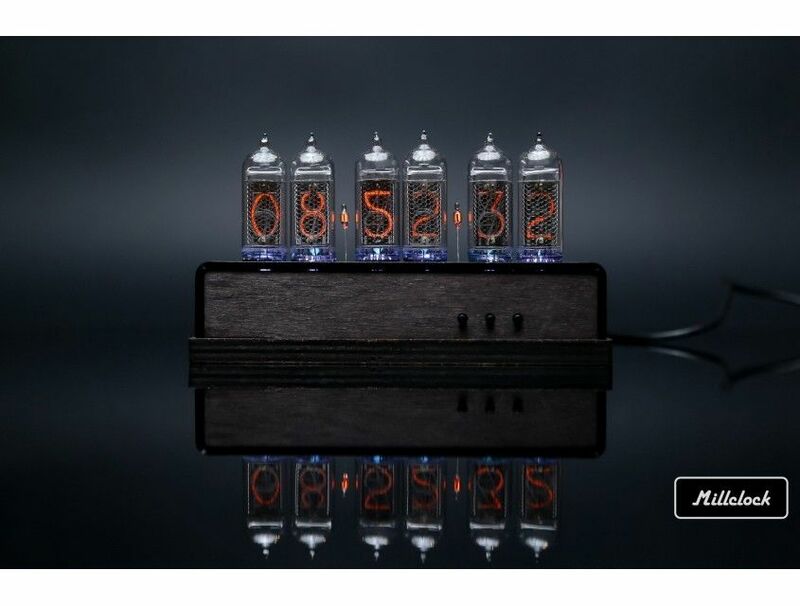 But what about the unique way to remind the time using this nixie tube clock? Believe us, you will feel much more better! 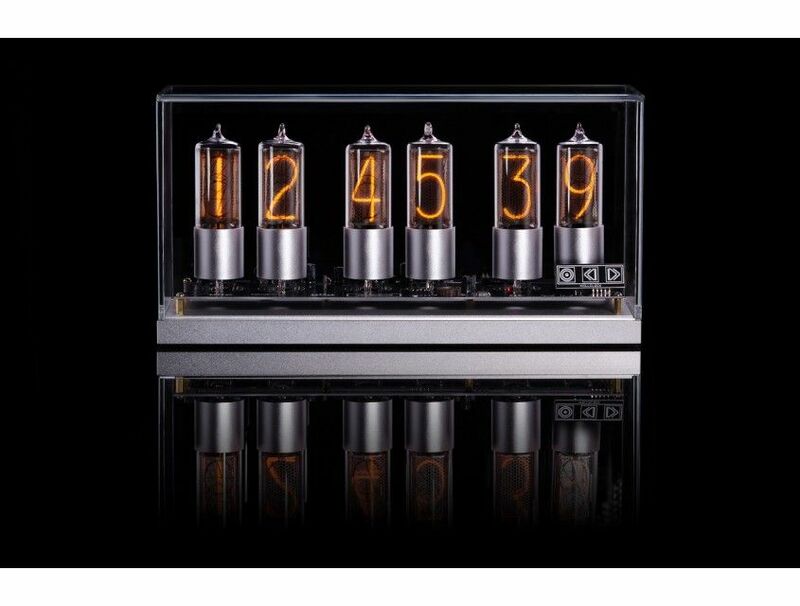 You hardly can resist temptation to buy nixie tube clocks if you like that industrial look with digits resembling the neon commercial in the streets. The distinct numbers of orange color will be seen over the distance and even at night. 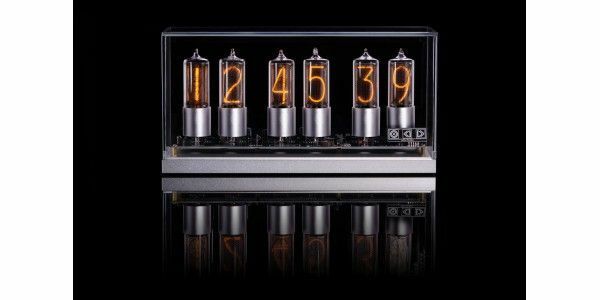 Nixie tube technology is rather attractive in a context of today interest in loft. This skeleton of construction is laconic and beautiful in its roughness. 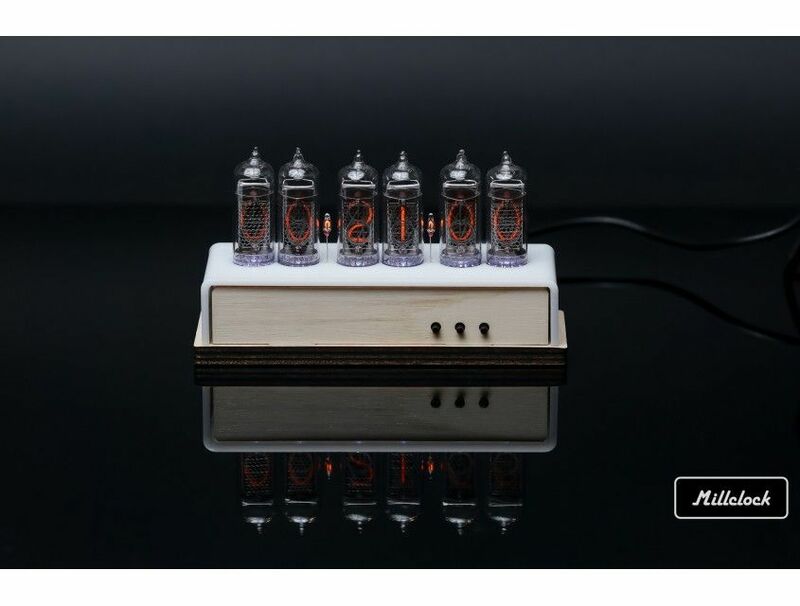 This model consists of four tubes located on a board with size 100 x 30 mm. 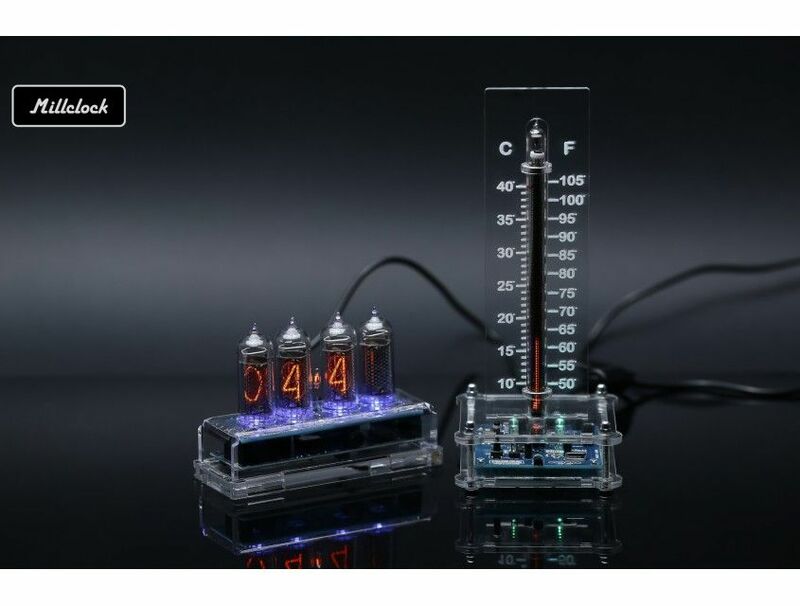 The thermometer is not only the device measuring the temperature but a stylish decorative element of the interior environment especially when we have in mind nixie tubes. 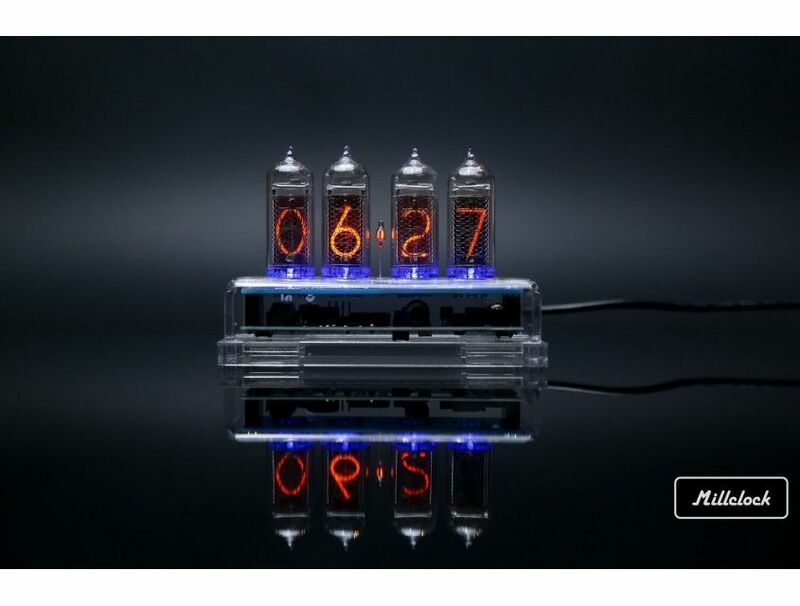 In general the so called cold cathode display is something about the past, which is of immediate interest nowadays. 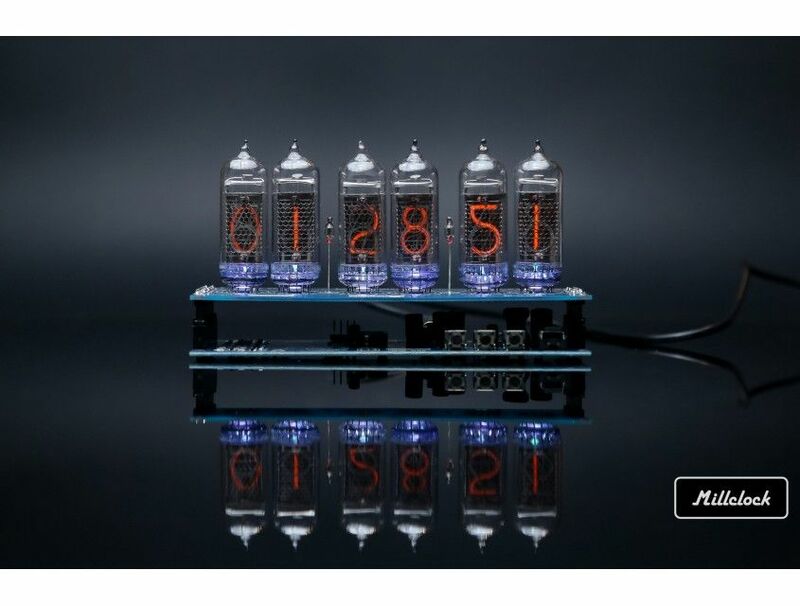 The nixie tubes make a comeback in a new image though without new conceptual design. 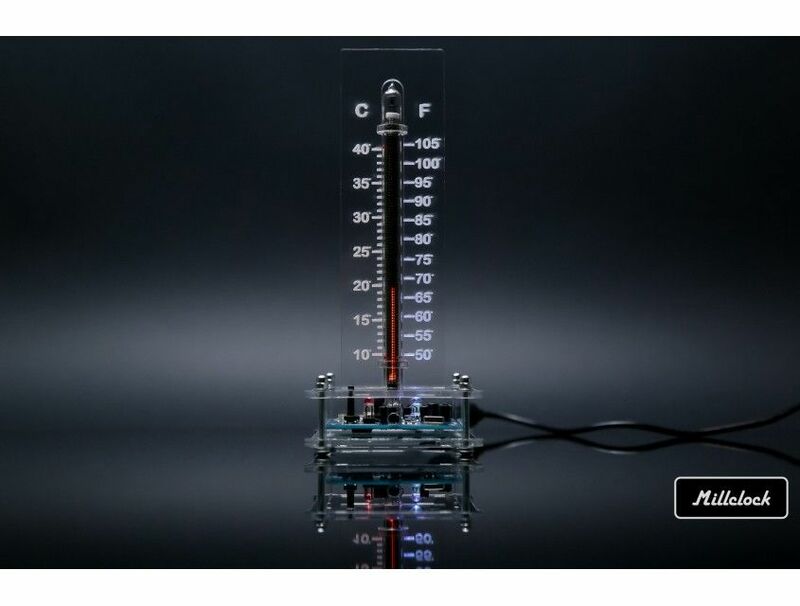 The thermometer is made of the tube never used before and being completely new. The lifetime of this construction is guaranteed by the producer during five years, but indeed it can operate much longer. 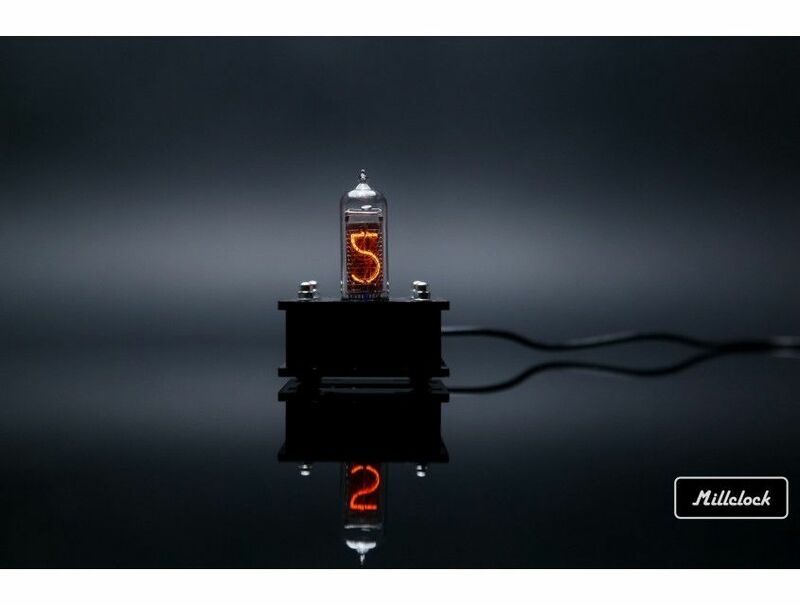 We are a guild of technicians, who hand-craft Nixie Tubes indication appliancesof unique conceptual and technological design. It began, when we started todo, what we loved, for people, whom we cared. And appreciation of our buyersmade us, who we are now. As we make our journey, we explore technicalprogress as embodiment of what people value. We find universally valuableexperiences and create succession of moving life stories. 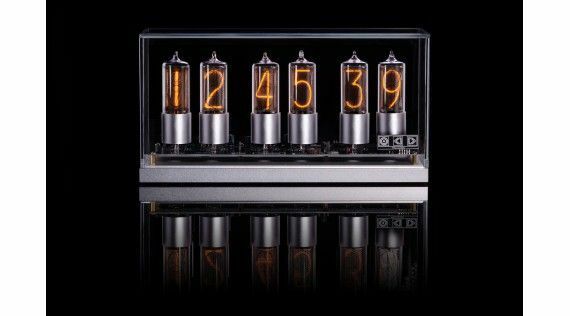 Based on them, wecreate our concepts.In our appliances, the Nixie Tubes technology plays the role of a precious stoneelement. It is a visible natural process that is seen as glow discharge and isextracted by people from electric current. We render our concept in a technicaldesign with reifying set of functions. And we accomplish it in a statement visualdesign with allusive and reliable materials. Thus, our moving stories becomeindication appliances. The owner can communicate with them, watch themwork, touch their surfaces, hear their sounds, and share their history. 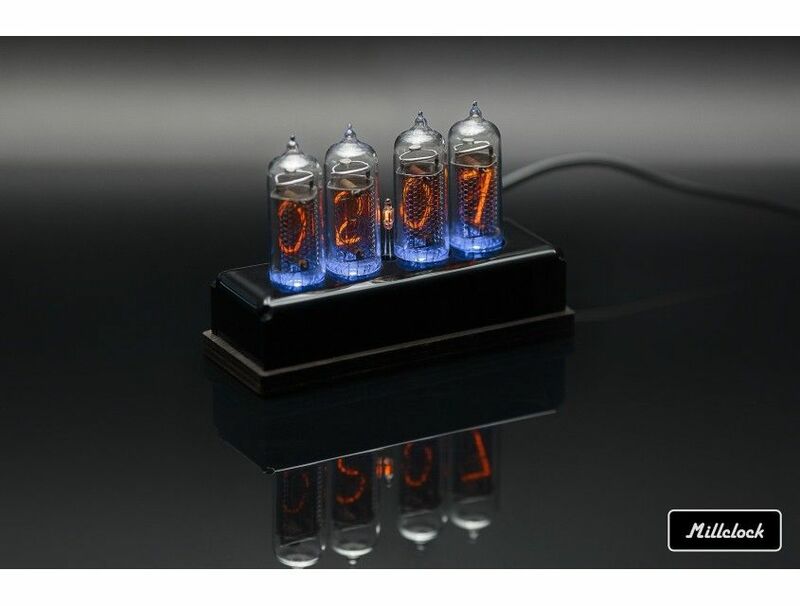 Do you love Nixie lamps are you upset that they are no longer mass produced today? 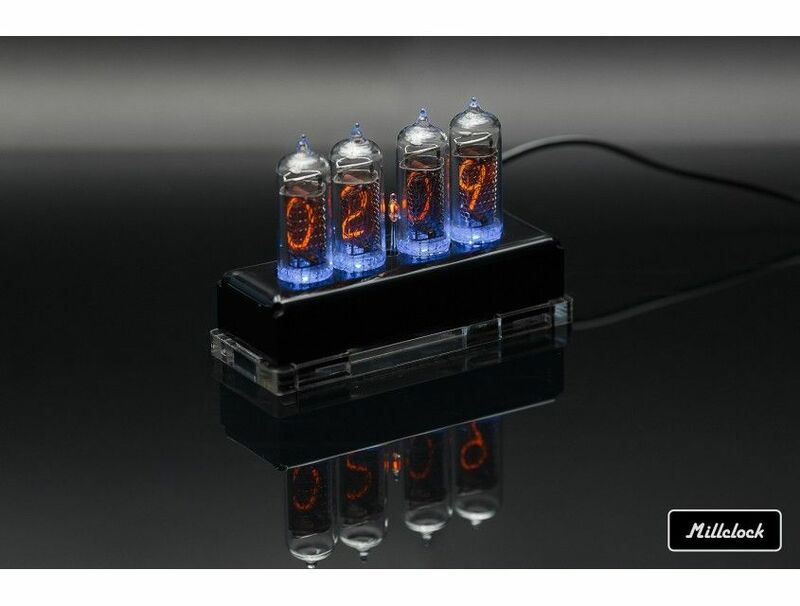 If you want to have an extraordinary number in your environment, we recommend you to regard a nixie thermometer and nixie clock which can be suggested for sale at our website! That is exactly what our company develops and offers at the world market as the best alternative to the classical variants. 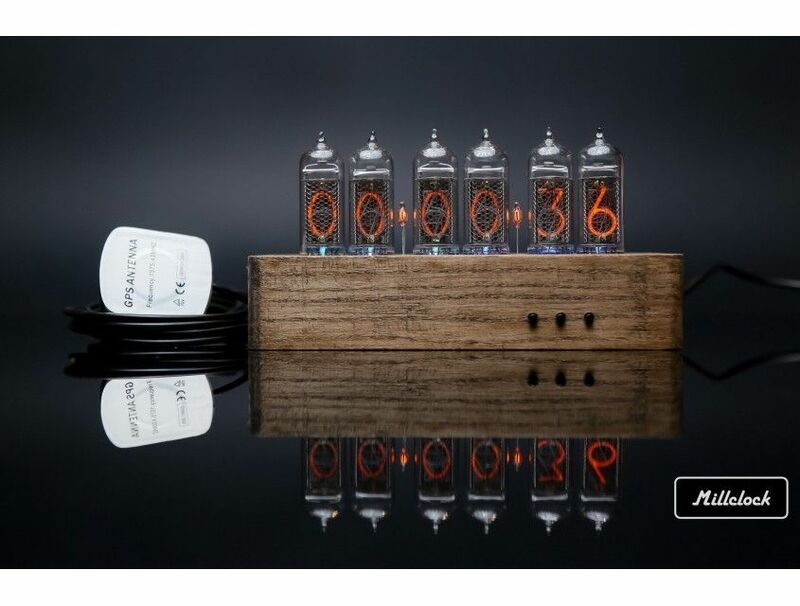 We produce our products in Ukraine, test every piece of it and assemble the tube clock by hands providing our customers with the system of high quality working without fail being a particular decoration for any interior. 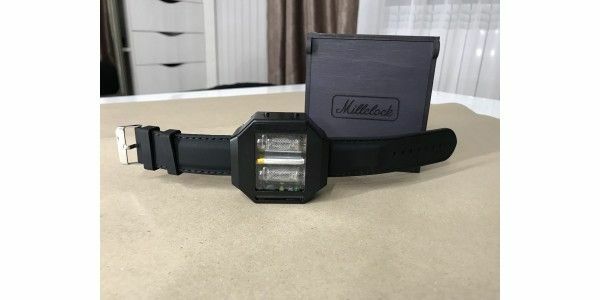 They are intended for use at night and during a day being easy to customize. 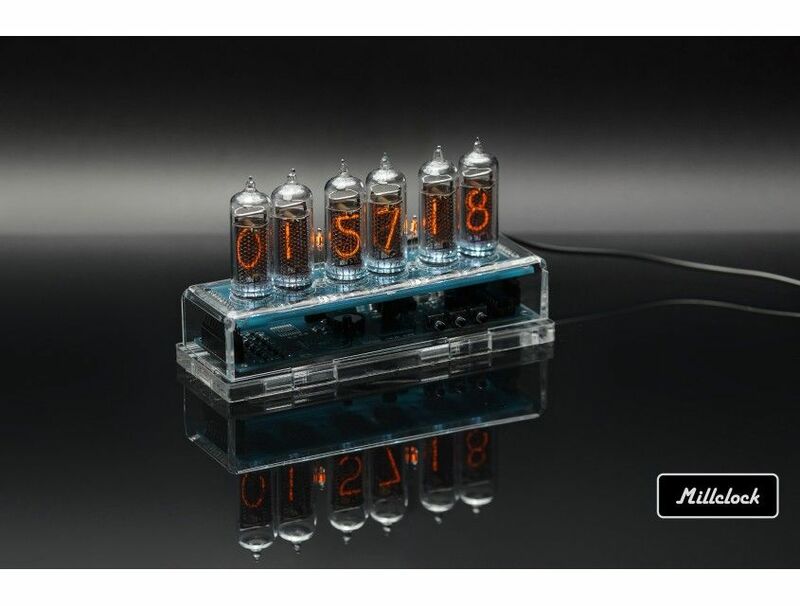 This is an electronic device made of several nixie tubes established on or inside the enclosure. 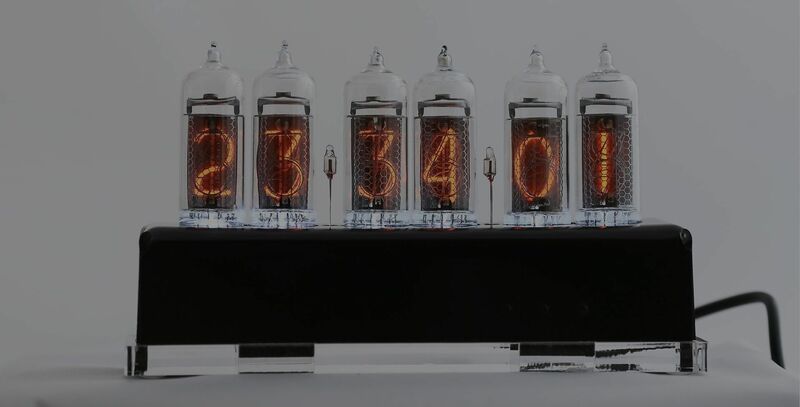 The glowing numbers are placed into the tubes, which are lick-tight as far as they are filled with a gas mixture consisting of argon, neon and mercury. But mostly we use low pressure neon. 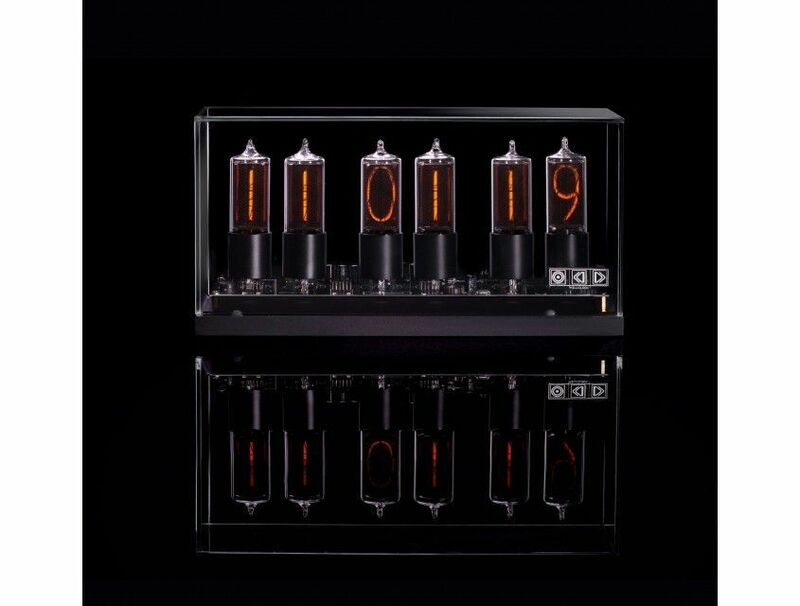 The numerals are made of electrodes - ten cathodes stacked one in front of another forming the digitals. The device is programmed to show the relevant information on the wires. 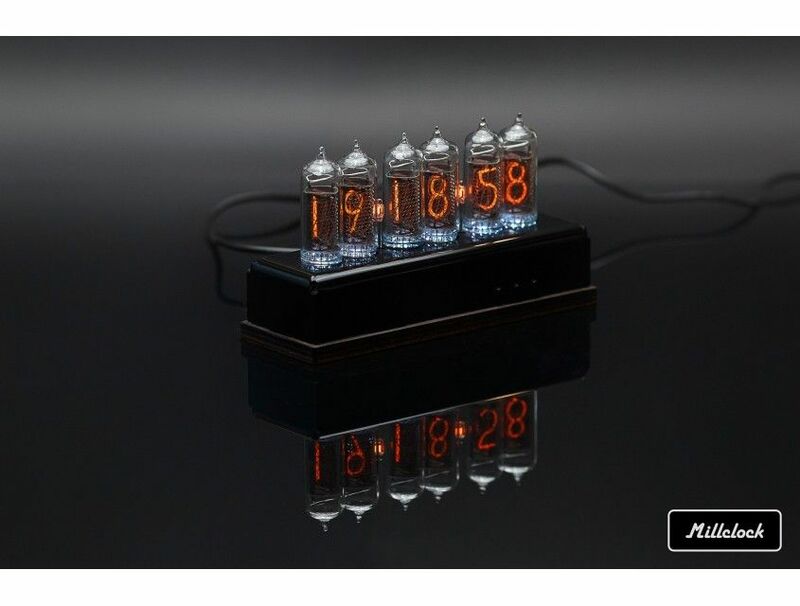 You can compare the principle of work of nixie devices with neon lamps. 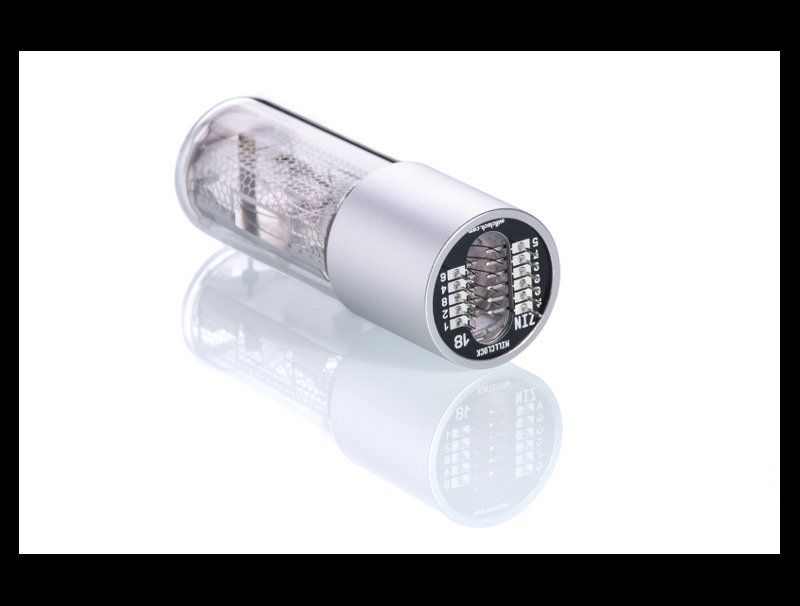 In a tube there are ten cathodes and one anode shaped in the form of a mesh or cage surrounding the numeric wires made of metal. They are not filaments but separate negative cathodes, which do not touch each other. When a high-enough voltage appears between the anode and cathode, the glow discharge occurs around the relevant wire following its shape and indicating the time, we expect to see. 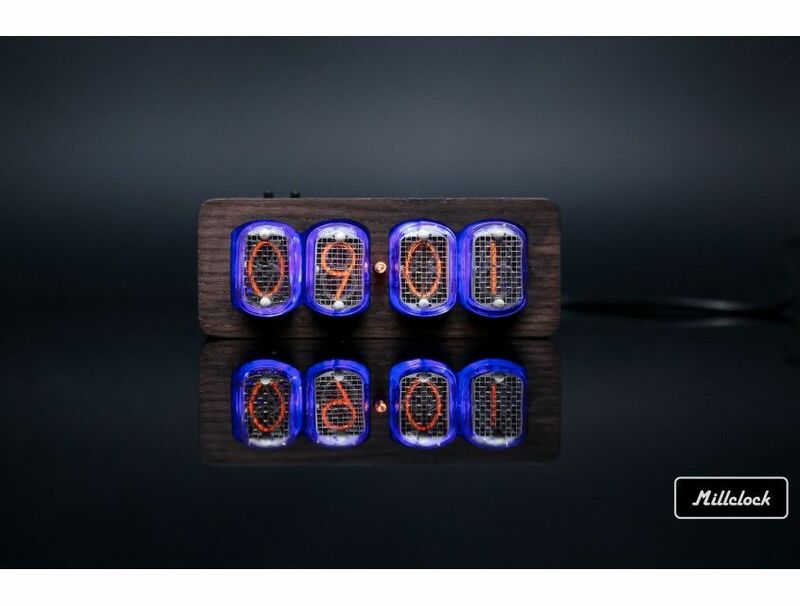 This is a perfect solution for those, who want to be cranky a little bit wearing nixie tube watch. Here the same display technology is applied being extremely easy to read. 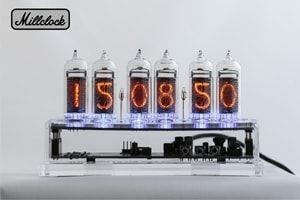 The glowing digits of orange coloring will show you the exact time. 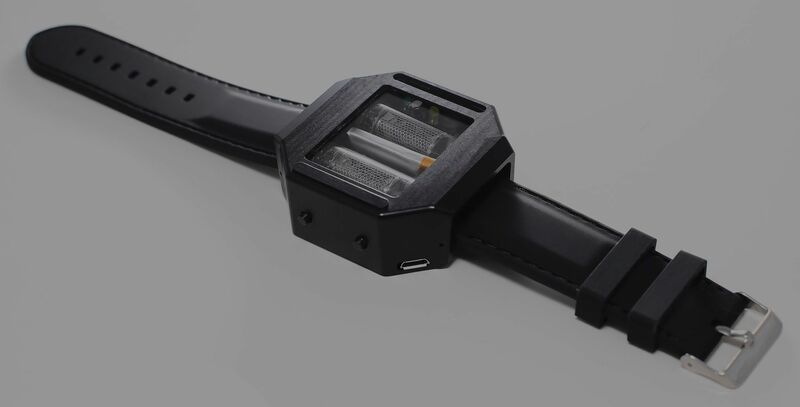 The nixie watch is equipped with software making it act in a proper way. This accessory is the matter of style allowing you to set yourself apart from others spending not so much. 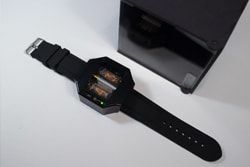 You can find the nixie watch for sale and enjoy it almost for nothing! • the construction and technologies are extremely reliable. We produce the clocks of various designs. Some of them are established on wood and plastic foundations; the others are arranged in acrylic frames or enclosed in wooden boxes. All of them combine contemporary trends with technologies peculiar to Soviet Block times - that period full of mystical submarines, technical secrets and classified defense information – that historical deja vu in the framework of the cold war policy. That’s it! You can enjoy the lack of décor, straight lines and wide range of functions. Add to the above list the fact that these machines are almost eternal being damage-tolerant and failure-resistant. We offer the models consisting of four and six tubes. The former shows hours and minutes, while the latter gives more details about the time allowing you to count seconds. There is also option of switching a date on and off. 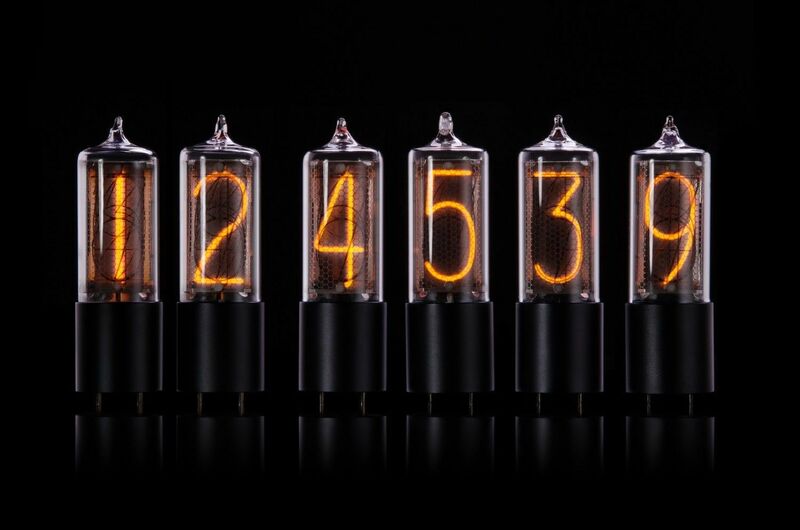 The tubes glow with various colors: the numbers are always bright-orange and the back or framing lights are blue or white. Indeed the coloring is conditioned by the gas placed in the tube. There is an option of changing the colors of the backlight and their brightness. It is easy to adjust the time and date using two or three buttons located on the back or top panel of the clock. We provide another useful option: if the power is off, the settings will not be zeroed out! They’ll be saved and renewed after the power is on thanks to the clock backup mechanism. 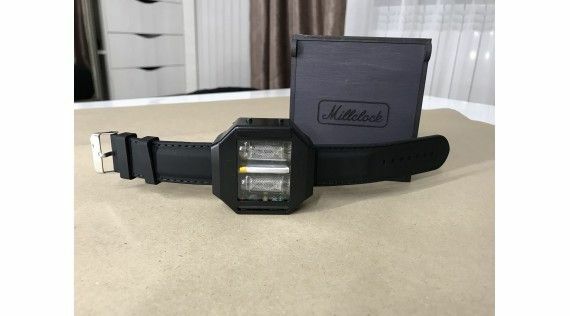 The clocks are marketed together with an adapter with the socket of the country where our customer will use the mechanism.. There are models with remote control and alarm. Moreover, the GPS function is available. And you can feel independent with the built in battery socket. 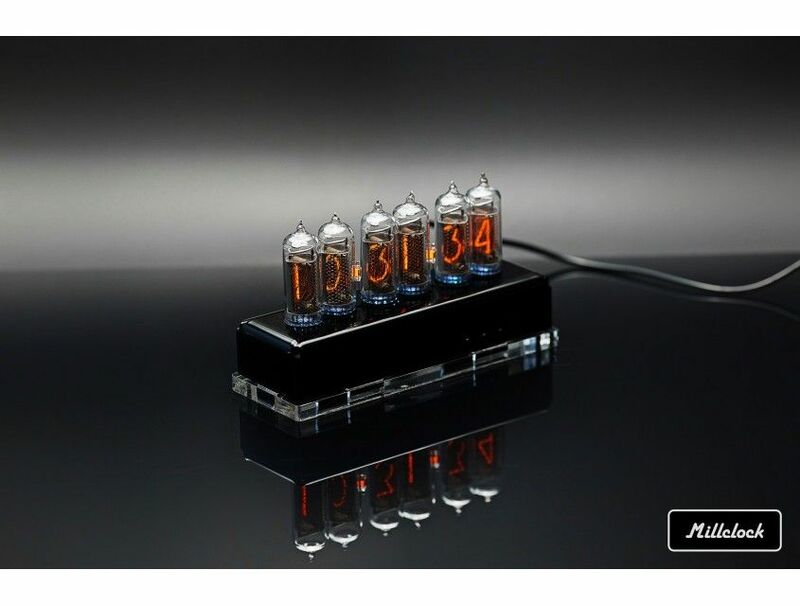 When you buy nixie clock at our e-shop, you get the properly assembled timepiece, an enclosure, all the components, and adapter. Just switch it on and adjust it in accordance with the current date and time. We are based in Ukraine, but both the domestic and international shipping is available.